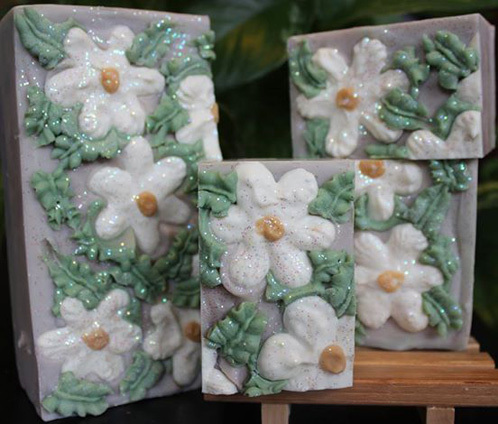 Created with the Spring Meadow Fragrance Oil and 6″ Silicone Slab Mold, Jamie from Whitetail Lane Farm is a true soap artist. 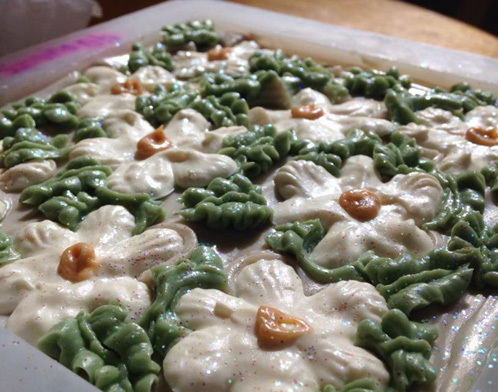 With beautiful daisy embeds and a hint of sparkle, this soap may be too pretty to use (Nahhhhh! Use it! She will make more). If you would like to try making your own handmade embeds, squeeze bottles and frosting bags will come in handy. Squirt bottles also make other soapy techniques a breeze, as seen in the Rainbow Squirty Swirls Tutorial. Here is Jamie’s soap from another angle. The thick texture is beautiful and makes the flowers look so realistic. All of Jamie’s soaps show expert craftsmanship and it’s clear they are made with great care. 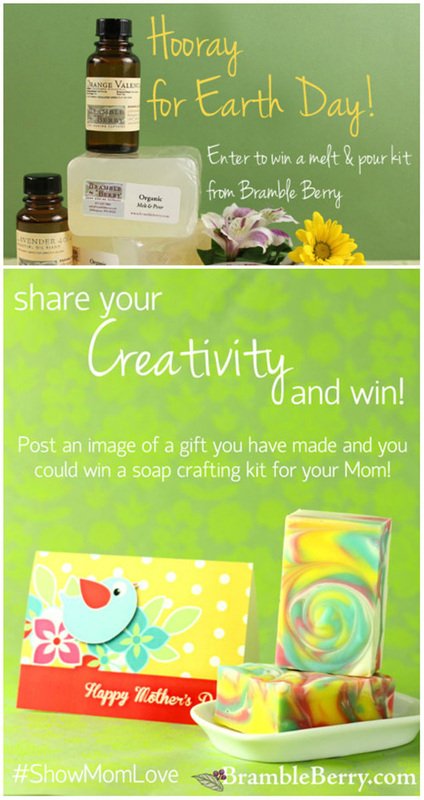 I’m especially delighted to see a few designs from my Soap Crafting book in her repertoire. She executes with flair and precision. 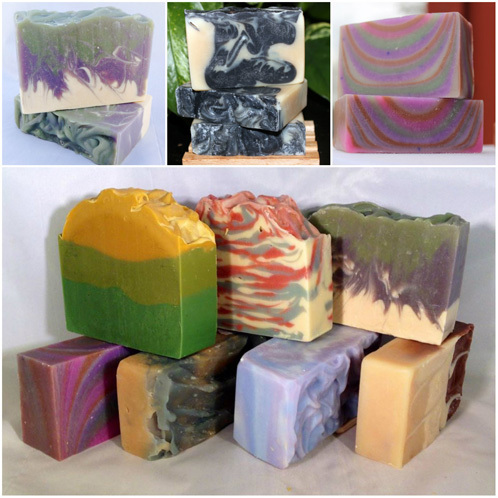 Thanks Anne-Marie and the entire team at brambleberry for featuring my soaps. I have such a wonderful time creating each soap with the use of your products!! Gorgeous! I loved the flowers on those. I bet you do have to convince people to use those bars of soap, they are works of art! I love your site and all the pictures and videos you make but I really do not want to belong to 10 social groups. Why can we not enter contest when we just use FB? We like to include a wide range of social media networks so that as many people as possible can participate 🙂 Our Earth Day contest was for Facebook, while the Show Your Mom love contest was on different social media sites…that way everybody can participate! Beautiful soap! It looks like a lot of painstaking effort went into these gorgeous flowers. I really like the use of color and of course GLITTER!